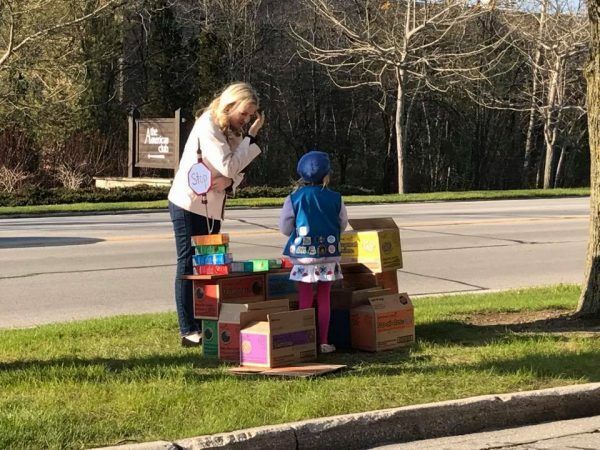 My sister and I were about to drive into The American Club Resort in Kohler when we spotted the cutest little Girl Scout selling cookies by the side of the road. Obviously, we made a U-turn so we could stop to stock up on cookies. I know that Thin Mints are the most iconic Girl Scout cookie, but I have always preferred Tagalongs. Like true Girl Scout cookie experts, we bought two boxes of Tagalongs because we know there are fewer in the box. 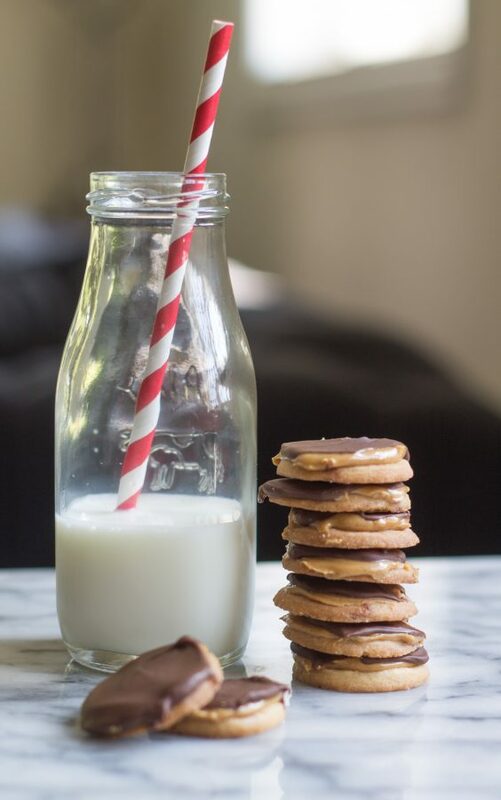 I hadn’t had a Tagalong for years, and once I was reminded of how delicious they are, I needed to make my own version. 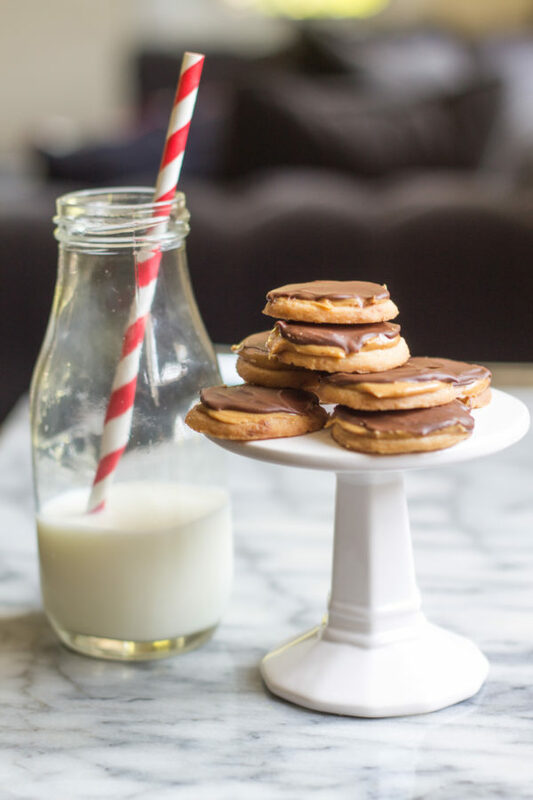 Today I am sharing a recipe for homemade Tagalong Cookies. 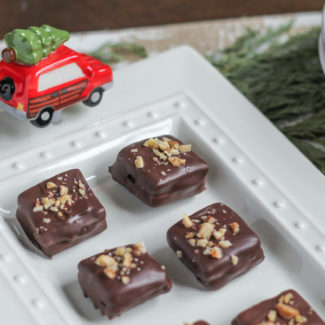 My version has a thin homemade shortbread cookie topped with peanut butter and milk chocolate, they are a little more buttery than the original. And while my sister sat in the car yelling over instructions, she also managed to take this photo. The Girl Scout could not have been any cuter and I was tempted to buy all the boxes just to help her out. 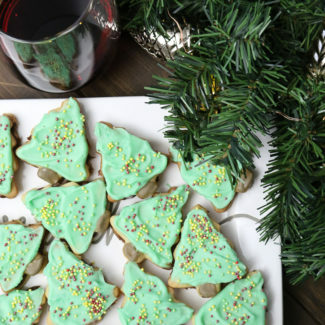 This recipe starts with making a simple shortbread cookie. The key to making shortbread is to use a mix of flour and semolina (which is a courser flour). 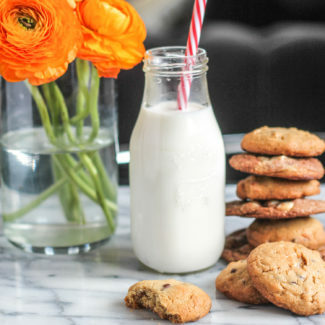 Once the cookies have baked, they get topped with peanut butter and milk chocolate. 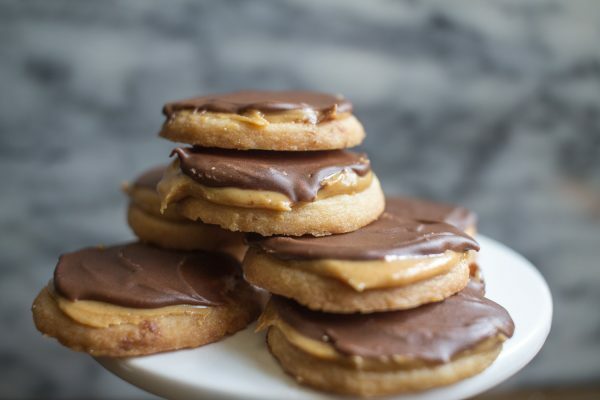 Instead of completely dunking the cookie in chocolate, like the Tagalongs the Girl Scouts sell, I just added a dollop of chocolate on top of the peanut butter. 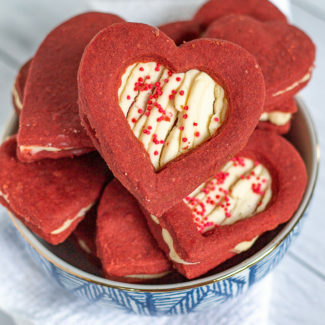 I like that the cookies have a more homemade look to them. 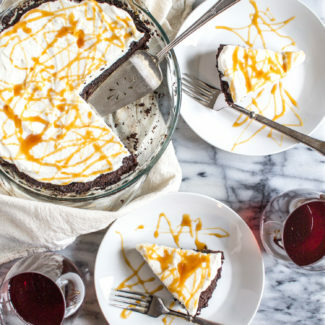 Plus, adding a dollop of chocolate was easier and less messy! 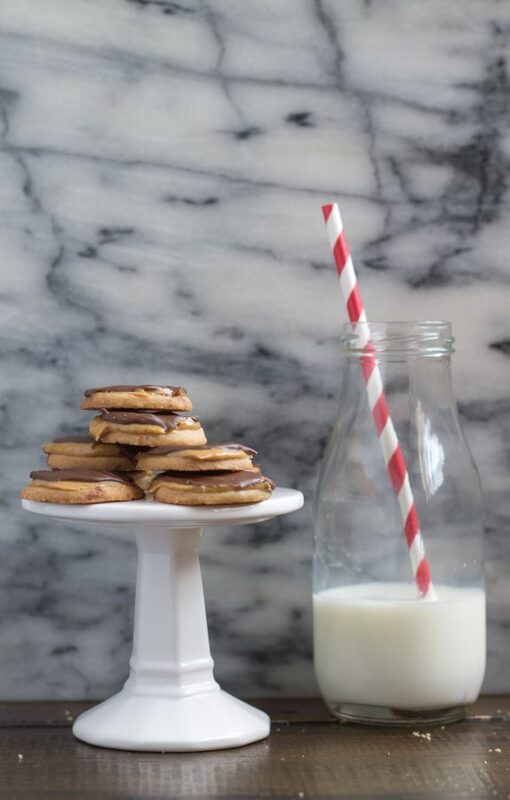 I will admit that the tagalong cookies are a little tedious to make. 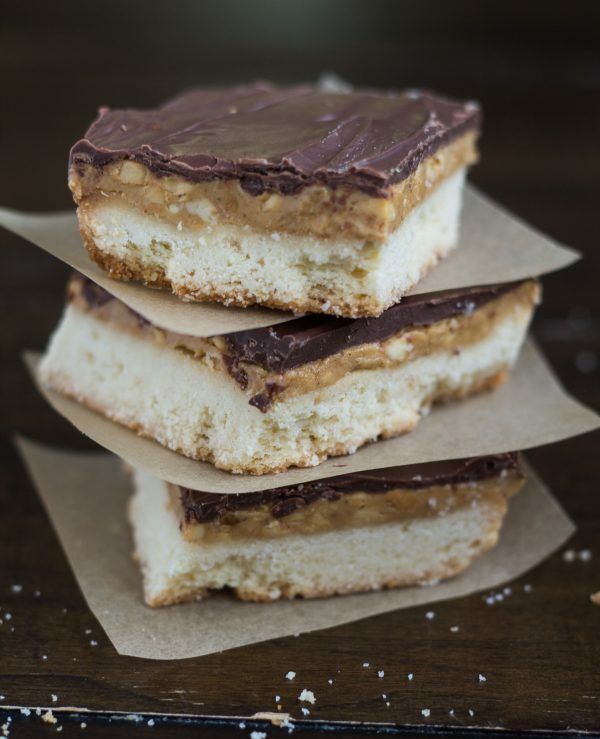 If you want to save yourself a lot of time and effort, make bars instead. 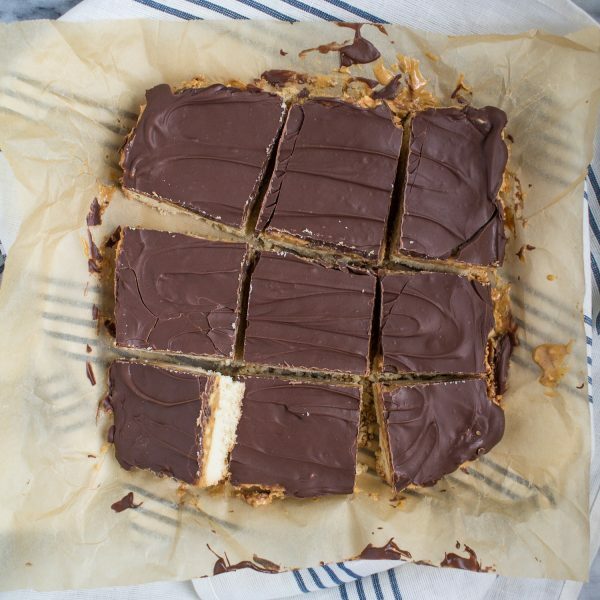 To make the bars, spread the shortbread dough out in parchment-lined 9×13 inch baking pan. Bake until golden brown, this will take 15-20 minutes. Let cool completely, top with a thick layer of peanut butter, refrigerate for 30 minutes, then top with melted chocolate. Let the chocolate harden before slicing. First, whip the butter using an electric mixer for one minute on medium speed. Then add the powdered sugar and beat for 2 minutes. Add the vanilla and mix until combined. After the dough has chilled, heat your oven to 350 degrees. Remove the dough from the oven, and let it soften just enough so that you can roll it out. Roll the dough out so that it is 1/8 of an inch thick and then cut it into small circles. Place the circles of dough on a parchment-lined baking sheet and chill them for 10 minutes before baking them on a center rack in the oven for about 8-10 minutes. You want to bake the dough until the edges are golden brown. 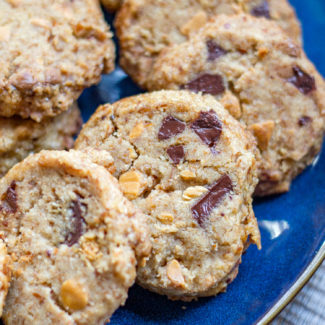 Let the cookies cool completely, then spread a layer of peanut butter on top of each cookie. Then place the cookies in the freezer for 30 minutes. This step is important because it prevents the peanut butter from melting into a gooey mess when you add the hot melted chocolate. Lastly, you need to melt the chocolate in a double boiler. Fill a pot with about 4 inches of water, and heat over medium-low heat until is steaming. You do not want the water to boil. Place a glass or metal bowl over the pot, and pour the chocolate chips into the bowl. Stir the chocolate until it melts. Add a dollop of melted chocolate on top of each cookie and spread the chocolate around with an offset spatula. Let the chocolate harden before serving.